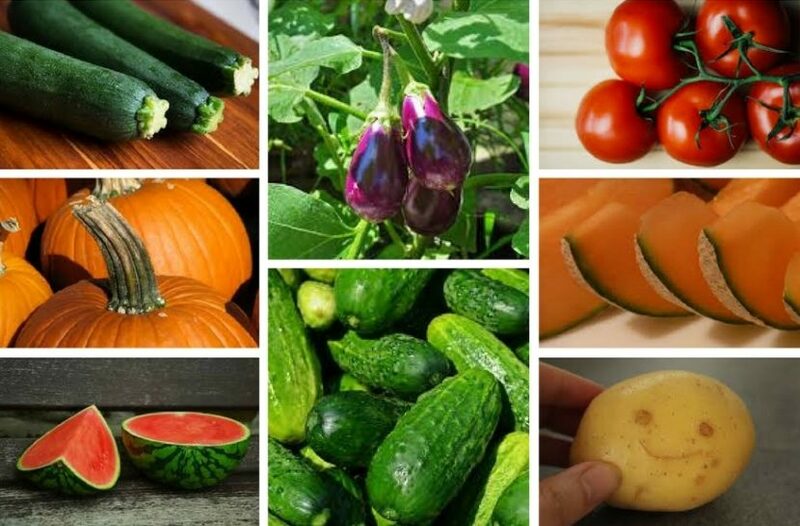 They include cucurbits (squash, cucumbers, zucchini, melons, watermelons etc.) and nightshades (tomatoes, potatoes, peppers, eggplants etc.). Phosphorus is especially important for their cultivation, while too much nitrogen makes the energy go into their leaves and makes them less resistant to diseases and pests. The best fertilizer for cucurbits is barn manure, while for nightshades it is home compost. They also need potassium and calcium, which can be added by foliage fertilizers most efficiently. Plant them in sunny and warm places. To get their fruits early, cultivate seedlings in a protected room, but strengthen them with lower temperatures before transplanting. If you smoke, wash your hands thoroughly, as viruses in tobacco can get to the fruit vegetables very easily.